Maryland is a state located in the Mid-Atlantic region of the United States. It is known for its many waterways and shorelines. It is also well-known for being one of the smallest states in the nation, but its population exceeds 6 million. Visit Maryland. There is a lot to love about Maryland. Its residents and visitors enjoy the proximity to the ocean and its seafood, sports teams, prosperous job market, and rich history. If you are planning a vacation or move to the state, you should consider vehicle shipping services. Vehicle shipping services are an affordable solution that will save you time and energy. This will allow you more time to enjoy your vacation destination or new home. There are some things that you should consider before booking vehicle shipping services. You should know the answers to the following questions: Where? Why? How? Where are people shipping their cars in Maryland? The most popular location to ship your car in Maryland is Baltimore due its size and proximity to main routes. Auto transport companies utilize main highways to transport vehicles from one location to another. Since Baltimore is a major city, it sits along one of these routes and provides easy access. There are many other popular cities, as well. This would include Columbia, Annapolis, Germantown, Silver Spring, and Waldorf. Why ship your car to Maryland? Read more on our auto transport services. How to ship your car to Maryland? Shipping your car to Maryland is easy. It all starts online with our easy-to-use quote calculator. Fill out four fields of information: vehicle make, vehicle model, pickup location, and delivery location. Within seconds, a car transport rate will be generated without the input of personal information. On the car transport rate page, you can see how the selection of different services, such as carrier and shipping options will alter your quote. Read more on car transport rates. Maryland is home to beautiful landscapes, delicious food, and great sports teams. What’s not to love? Put these five cities on your list of must-sees. Baltimore is the largest city in Maryland with a population of over 600,000 people. The city is situated a short drive from other major cities, such as New York, Washington, D.C., and Philadelphia. 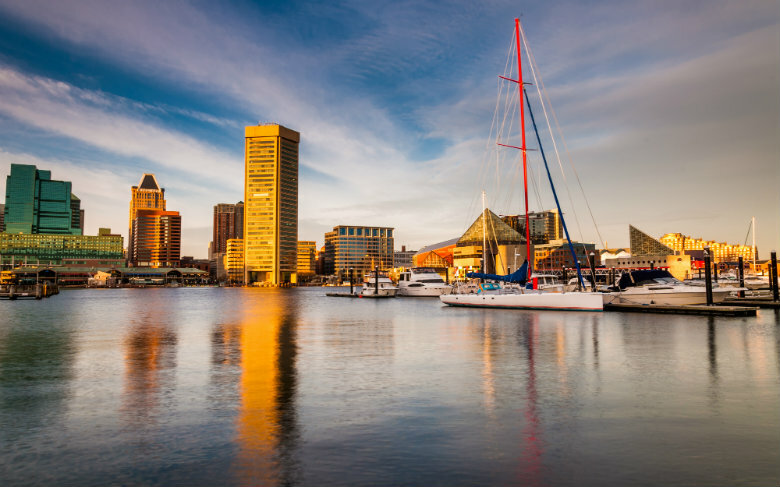 The city is also close to three major airports and hosts a popular cruise terminal, Baltimore harbor. 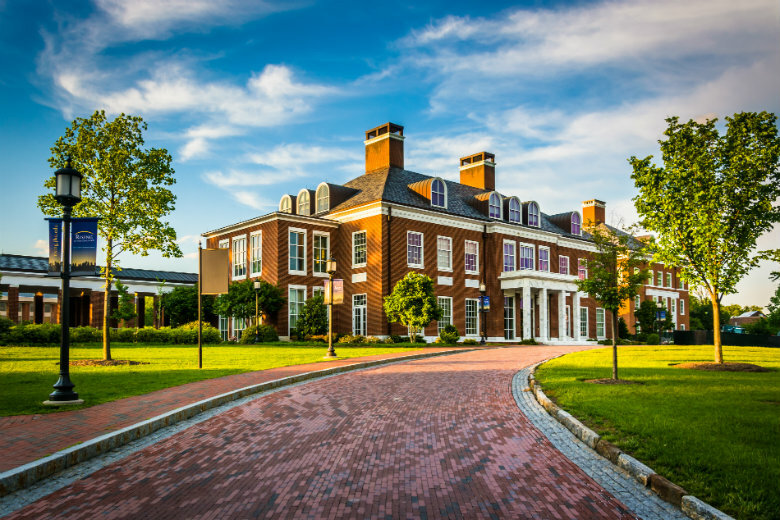 In addition, Baltimore is home to the Johns Hopkins Hospital, one of the nation’s best hospitals. While you are in the city, you want to be sure that you check out the Lexington Market. It is where you can find some of the area’s best seafood, baked good, fruit, and vegetables. Columbia, located between Baltimore and Washington, D.C., is the second largest city in Maryland. If you are a lover of the arts, then this is the place to be. The city hosts annual events to celebrate the arts, such as the Columbia Festival of the Arts. There is much to love about the city. There are charming parks with lakes and paths to bike, walk, or view the wildlife. You will also find many places to dine and shop. One popular shopping center is the Columbia Mall. It is easy to see why the city has been listed on the top ten ‘Best Places to Live in the United States’. If you are looking for a quiet, safe area to reside in or visit, Germantown is the place for you. Although the city may be more suburban-like, it is just a short drive to bigger cities, such as Washington, D.C. These nearby cities also provide numerous opportunities for employment. This allows you to work in an urban location but live in a more rural neighborhood. Germantown is known for having a top-notch school system. Montgomery College resides in the city, which is an excellent community college that provides a vast array of academic programs and courses. If you enjoy nature, check out Great Seneca Stream Valley Park, where you can hike, bike, and more. There is always something to entertain you in Silver Spring. You can attend a concert, eat at one of the delectable restaurants, go golfing, and more. Downtown Silver Spring is definitely a go-to spot, day or night. At night, residents and visitors enjoy going to restaurants, movie theaters, and music venues. Downtown also varies with the change of seasons. In the warmer seasons of spring and summer, a farmers market is hosted. In the cooler seasons of fall and winter, there is an ice skating rink. People enjoy Silver Spring because of its diverse community and ease of accessibility to neighboring cities. Learn more about Silver Spring. Of course, we had to include the capital of Maryland, which is Annapolis. There is so much to do and see in this beautiful city. Annapolis is for foodies because of its proximity to the Chesapeake Bay. You can enjoy a waterfront meal of Maryland Blue Crabs. Afterward, take a look around some of the antique and boutique shops around the city. Both residents and visitors enjoy the city’s hundreds of miles of coastlines. This makes it the perfect spot to paddle board, kayak, fish, and more. Are you convinced that Maryland is the place to call home? Contact National Dispatch today for vehicle shipping services to Maryland. If you are not sure that Maryland is the place for you, we ship cars anywhere in the United States. Request a free, instant car shipping quote. No personal information is required. Just fill out four fields of information. If you prefer to speak with an auto transport specialist, contact us at 800-321-2051.